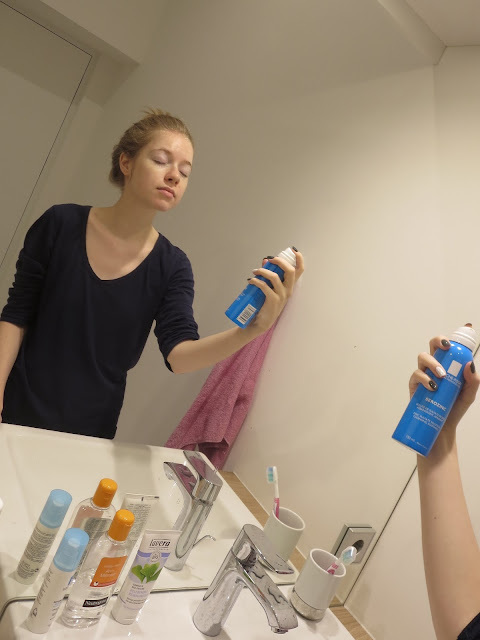 Today we'll focus on skincare and I'll share a step by step of my morning routine. Make-up is so much fun to play with, however a good base for it is very important. My skin isn't perfect, I struggle with blackheads and the occasional blemish, also add some hyperpigmentation in the mix. All the products are drugstore ones, which you can find on http://www.shop-apotheke.at/. They are affordable and approved by my dermatologist. Consulting a dermatologist can be quite helpful, but at the end of the day do what works for you. As weird as it may sound, try to listen to your skin. See how it reacts to different products and try not to "over do it", which I am guilty off. You can see a larger selection here http://www.shop-apotheke.at/beautyprodukte-und-pflegeprodukte/. Before deciding on a product, try to research it a lot and keep in mind your skin's issues and type. If you would like a detailed review on any of the products let me know in the comment section. 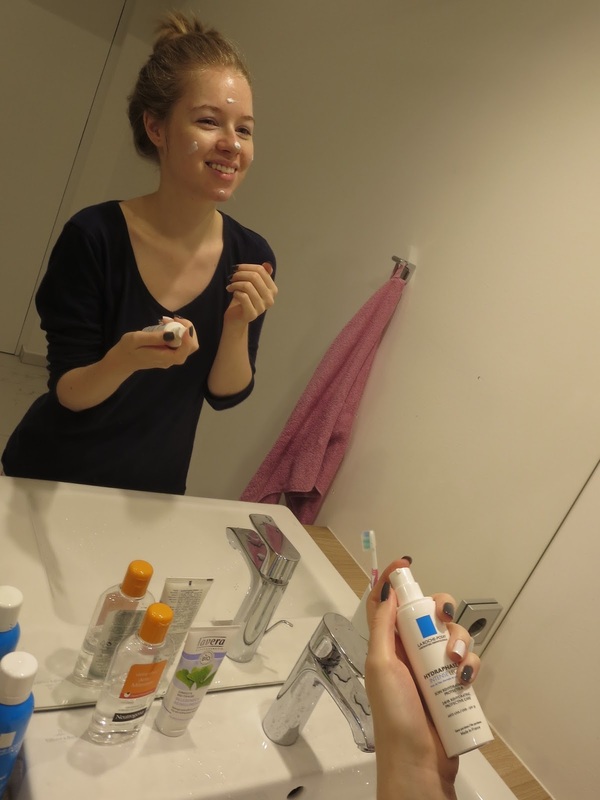 Recently, I have switched to a bio brand Lavera for my face wash, which was recommended by my mother. I like to wet my face and massage the face wash for a minute or so, then rinse it off. 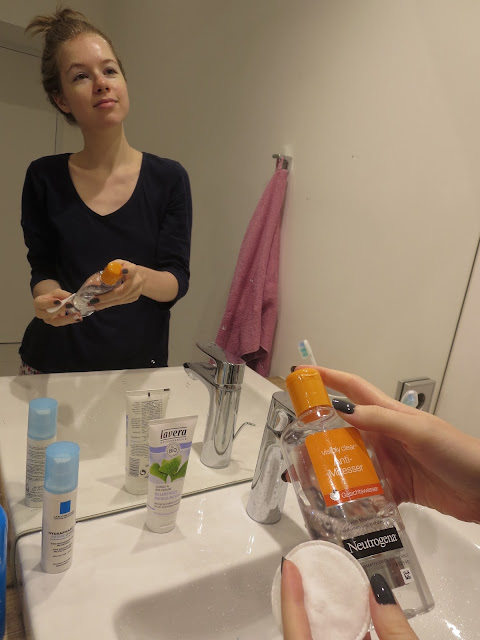 I use a toner from Neutrogena that fights against blackheads. As a next step, I like to spritz my face with Serozinc, which purifies and soothes irritated skin. For my daytime cream, I'm currently using the La Roche-Possay Hydraphase Intense Legere with an SPF 20. If you live in a hotter climate perhaps opt for a higher SPF, however for the Austrian weather this one is enough. To finish up, I like to spritz my face with a little bit of thermal water. 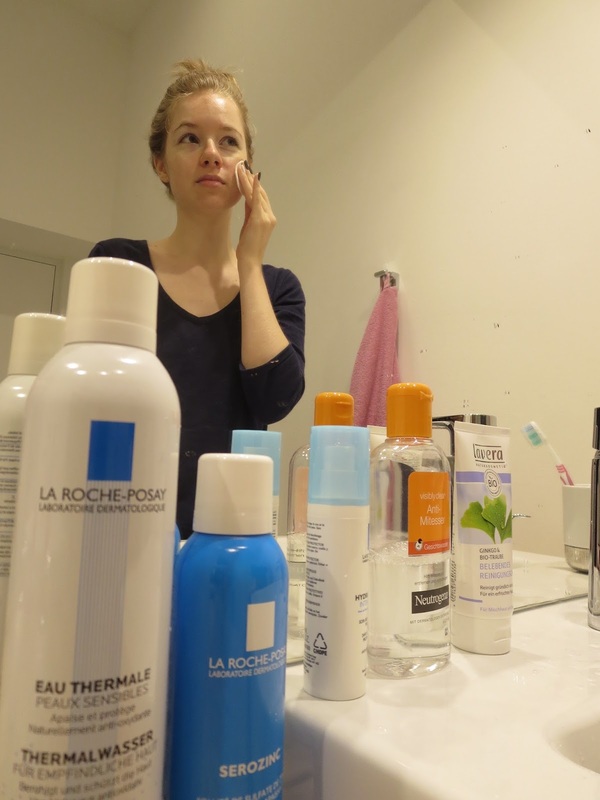 You can find it from different brands like Avene and La Roche-Posay. 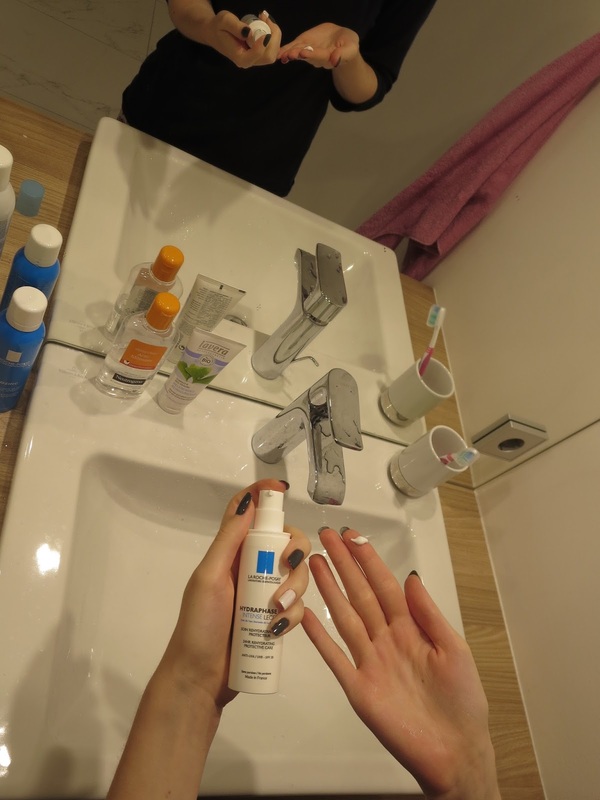 i also love neutrogena. i wan t to try la roshe posay, but i'm not sure which serie to choose.